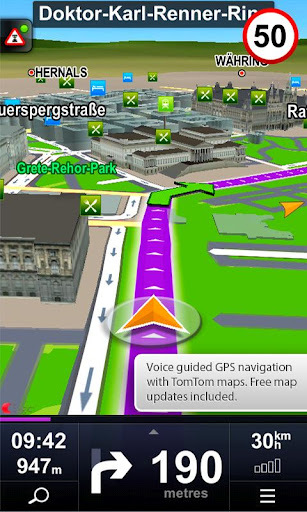 Overview: Sygic is the professional turn-by-turn GPS navigation app. Sygic boasts an intuitive interface: drag the map, pinch to zoom, change point of view using built-in compass and tap target square to choose action. Sygic is comfortable and safe with advanced routing is optimized for Real-Time Traffic and is packed with valuable content: maps with 3D view of cities and landscape that are updated for free, travel guides, and thousands of POIs in comprehensive categories! against the maps you have installed. 8. Close downloader and launch the app. 9. Please do not attempt to 'Activate' the product. Your app will go back to trial version if you do so. Press '<-Back' all the way back to the main program. may i know how to install it on my galaxy s3? LOL. I'm not even realize that i dont even write the instruction. can i load it in my samsung galaxy w... ? how to make this installer in eng.. I already mention it in the post. Does Sygic drains battery like papago , which do you recommend? pc map downloader link is offline! From my experience using sygic (ori) on SGW not so good. It tends to make the phone freeze and have to take out the battery to unfreeze the phone. Usually it freeze after use it more than 30 minutes. To occasionally avoid the freeze, phone must be restarted prior using the sygic. Tried Papago M9 for couple of hours few days ago and no freezing. And papago msia map are more detail than sygic. Features wise, sygic is much better than papago. map cant download, seems like removed... please help! can it be installed in galaxy note 2? thanks much. I installed on galaxy s3, but when i run it, it shows a black screen and overload the phone and i have to end it from the task manager. After completing the installation, I run the sygic and configure the lang and so on. Finally sygic closed suddently. Now It closes automatically everytime I run the application. I am using an Asus eEpad transformet TF300.